I have trouble with books from an animal's point of view, but this was a good murder mystery, so I have the series. Interesting that it is really written by Abrahams-- I'm always lukewarm about his work, but I didn't know he wrote these. Sounds like a fun read. And OMG who wouldn't want a dog like Bowser. My dog is staring at me now so I'll be tracking this one down. Thanks for the insights from your young reviewer. 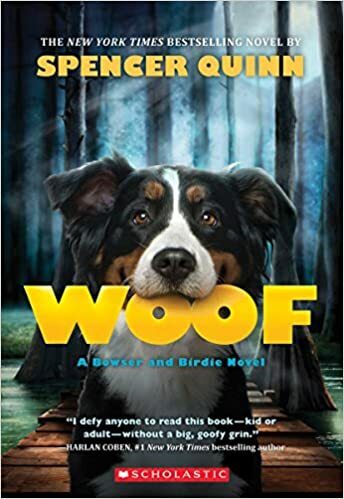 Sounds like a good one for my reluctant reader, dog-loving son. I really love the format of your reviews. I always love hearing thoughts straight from the kiddos. I am starting to enjoy books from the animal's point of view. What a great mystery for a girl and her dog. And, I like the focus on senses. Great review! I am always, always, ALWAYS on the lookout for great read-alouds. And a mystery to boot. Thanks. I second Natalie! I've seen this one around. I think MGers will really like it! This looks great. I love those opening lines. I'm already in love with this slightly slobbery pooch! A girl and a dog solving mysteries? Who can resist? Thanks for telling me about this one. I will check it out.